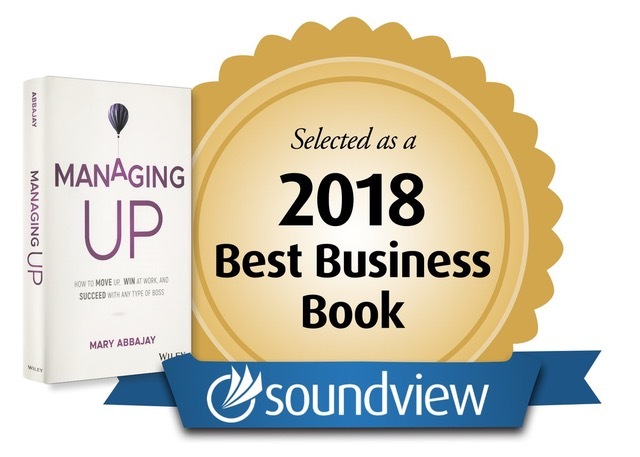 Managing Up is NOT a soft, passive approach to managing your career. It is a strong, proactive guide to understanding your boss and taking control of your own career path. Abbajay’s keen understanding of personality and leadership styles is unmatched! This is the book you need to read to achieve your best career possible. 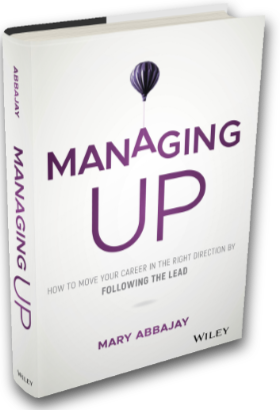 Abbajay offers fantastic tips and insight for all career stages - every last word is a gem of career advice that will empower your approach to managing your career and your boss. A must read! 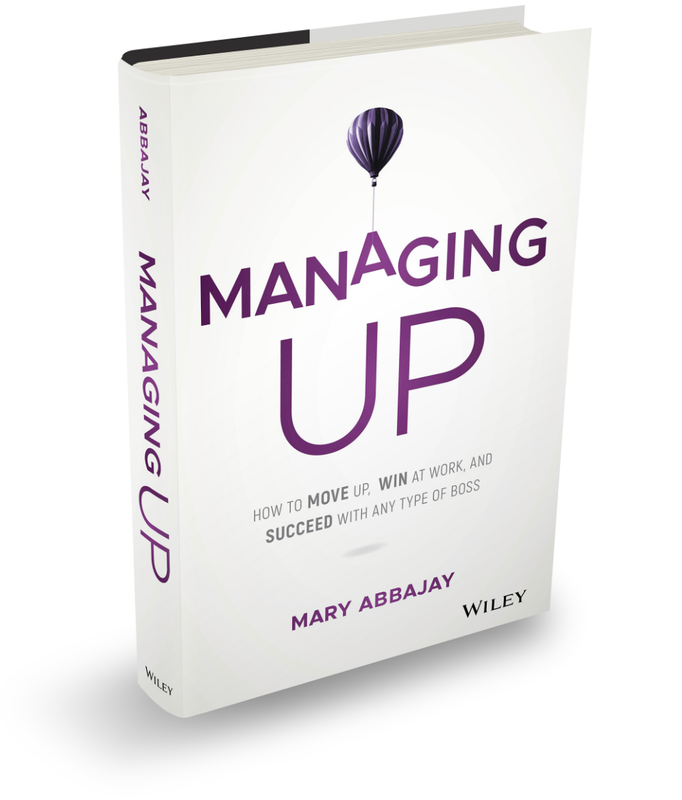 What makes Abbajay’s book stand out is its direct no-nonsense approach to managing up. It’s a virtual how-to book for working with any boss packed with specific ways to deal with different higher ups. A triumph of a book. This workshop literally changed my life. I can't thank Mary enough for her insights and strategies. I feel like I have a whole new relationship with my boss. Thank you! This workshop far exceeded my expectations. It was engaging, fun, and highly informative. Mary has great energy and passion! Mary's presentation on Managing Up was amazing. We all loved it. I think I need to give the book to my entire team! This was a great workshop and Mary is an excellent presenter! I now have a much better understanding of how to work with my extroverted, workaholic boss! Thank you! Mary is the most fabulous facilitator and trainer. You can tell that she really cares about helping us succeed in our careers. Love her! Thanks so much! I really enjoyed the workshop. Mary was a great presenter and the material was very informative about how to manage up. It will be very helpful to know how to deal with different bosses. Mary was fantastic, hilarious, and engaging. Excellent workshop—leaving with valuable tools and insight. Can’t wait to ‘manage up’! Best session of the entire conference. Your knowledge, humor, and energy are a winning combination. I’m a huge fan. 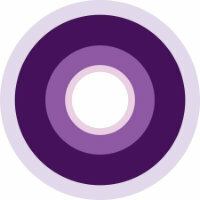 Our members haven’t stopped talking about your workshop! We really enjoyed having you back to speak to our Leadership Development Program. Thanks for a wonderful and interactive workshop! Best. Workshop. Ever. Thank you. AWESOME! Mary is amazing. I loved this workshop for its energy, interactive and extremely relatable content. I have a whole new insight on how to work with my boss. Mary's presentation on Managing Up was outstanding! The feedback from our members was excellent. We can't wait to work with her again! Managing Up one of the best and most useful presentations that I have ever attended. 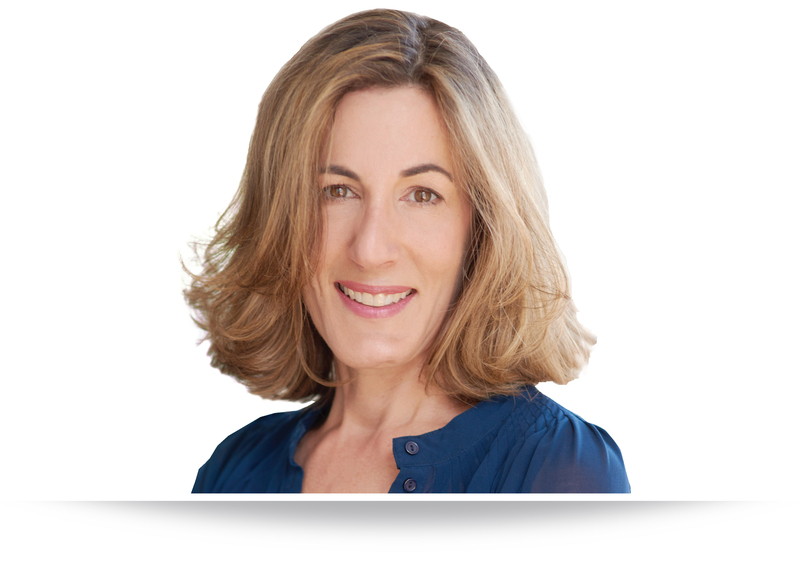 In addition to Mary being a fantastic speaker, I found her strategies and tips to be spot on. I wish I had heard her speak years ago! Thank you so much for such a fun and educational evening! Your presentation was terrific! Our attendees loved it. Every time I hear Mary Abbajay speak, I learn something fabulous. This was no exception. Her workshop on Managing Up has been my hands down favorite of the series. Thank you for the great ideas! For review copies, press inquiries, or speaking engagements, please contact Kimberly Petty at kim@cavehenricks.com or 512-519-9875.